Adobe's Flash technology is pretty incredible. With it a developer can create beautiful websites and applications that include complex animations and robust user experiences. However there has always been a concern from a search engine optimization perspective, after all search engines like Google crawl text and links in order to rank sites, and it's much easier to analyze a well-structured HTML file than it is to analyze a complex flash object. 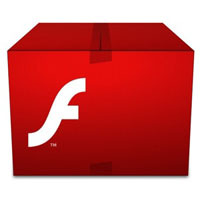 So then, is Flash still a relevant technology for your small business website? Although it's true that Flash can be a huge deterrent for Googlebots (the web crawlers that visit the websites on the internet so that they can be indexed and ranked), they certainly provide some cool experiences on the internet. Take just a few seconds and visit this website, then come on back. I'll wait. Back? The WaterLife website is excellent from a user experience perspective. It engages a visitor's senses with motion and audio, and it presents content in a unique layout that is more engrossing than a typical HTML webpage. We've often said that good design can lend credibility to a small business's website, after all if you're a new customer are you going to trust a website that looks like it was designed in 1995? Probably not. So Flash much be the way to go, right? Not so fast. Although Flash is beautiful for human eyes to look at, it turns out the web crawling bots (often called spiders) that I mentioned above can't really make much of a standard Flash object. To them, a typical Flash website just looks like a black box because there's no text or links for them to munch on. Taking WaterLife as an example, did you notice that as you navigated around their site the URL in the address bar didn't change? That's because oftentimes Flash is not implemented with deep linking which can provide an indexable structure for the googlebot. This is what Google Preview thinks the WaterLife site looks like...a puzzle piece. Another big downside to using Flash is that not everyone has it installed on their computer. Adobe Flash is a separate plugin that must be installed before a user (or more importantly, potential new customer) can view the Flash content on your website. In some cases, such as with Apple's iPhone or iPad, they can't install Flash even if they want to! This means that it's important to have HTML-based content that these users will be able to fall back on. Another issue can be system performance, as Flash can often times bog down older computers. Even on my relatively new computer the WaterLife website took 20 - 30 seconds to load the first time, and had I been impatient that might have been just long enough for me to decide that I want to go back to my email, check Facebook or update my Twitter status instead. Despite the downsides, you don't have to avoid Flash entirely. In the past 2 years the major search engines have added the ability to examine Flash objects to a certain degree, and although it's not as simple as implementing an HTML page, web crawlers CAN navigate your Flash website to index it properly. 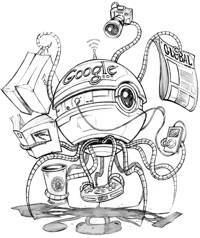 On June 18, 2009, Google announced that it could now crawl external resources associated with a Flash object, including text and XML. As a result, the best approach to keeping a Flash website search-friendly is splitting it into two separate layers: a content layer (XML or similar text-based file) and a presentation layer (Flash). The content layer is indexable by web crawlers and essentially feeds data to the presentation layer which provides the user with a great interactive user experience. That was a whole lot of technical mumbo-jumbo that you, as a small business owner or employee, should never have to worry about. However, knowledge is power, and if you're going to approach a developer it's good to keep these issues in mind. If you need a Flash web application developed, make sure to ask the developer how they promote search engine optimization. Do they have separate content and presentation layers? Will they provide an alternative HTML version of the website for visitors without Flash, or folks viewing the website on a mobile device? If you find a developer that answers these questions correctly you'll be much happier with your web presence in the long run.